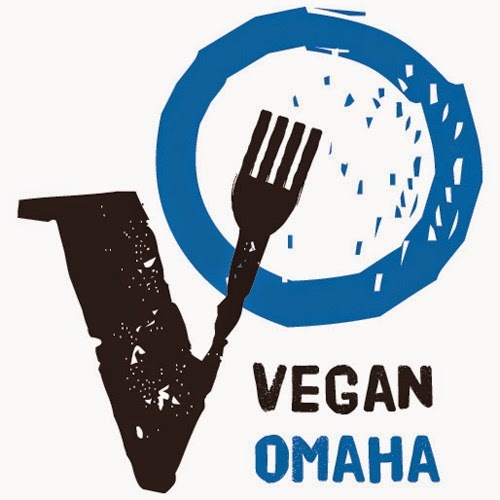 I was introduced to Denver Vegan culture via the 2008 Denver Veg Fest. It really opened my eyes to how many of us there actually are. It was exhilarating! Denver and Boulder are very Vegan friendly with tons of restaurants, health food stores and even Vegan shoe stores. Here are some of my local finds, some you may be able to able to procure at a store near you! 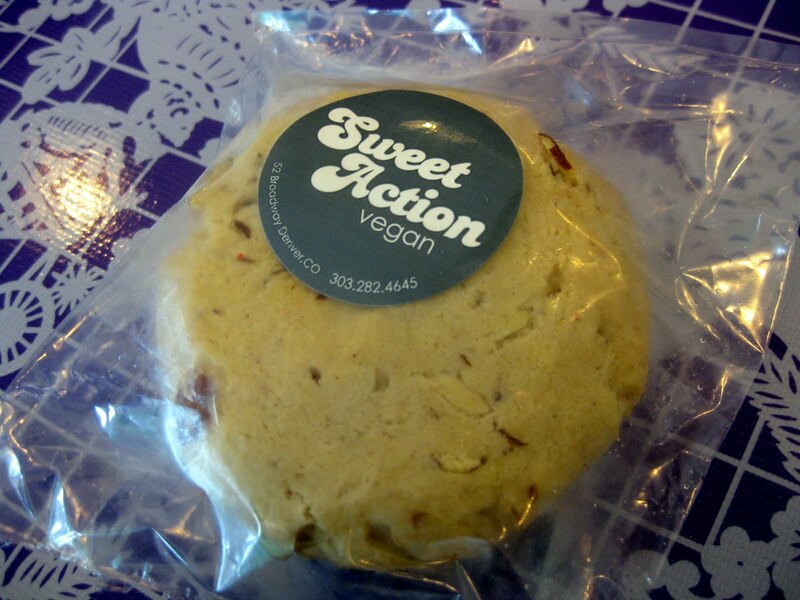 Sweet Action is an Ice Cream Parlor in Denver that always has a couple Vegan flavors on hand. When I was there they had a Vegan Almond Cardamom Ice Cream Cookie and I couldn't turn it down! 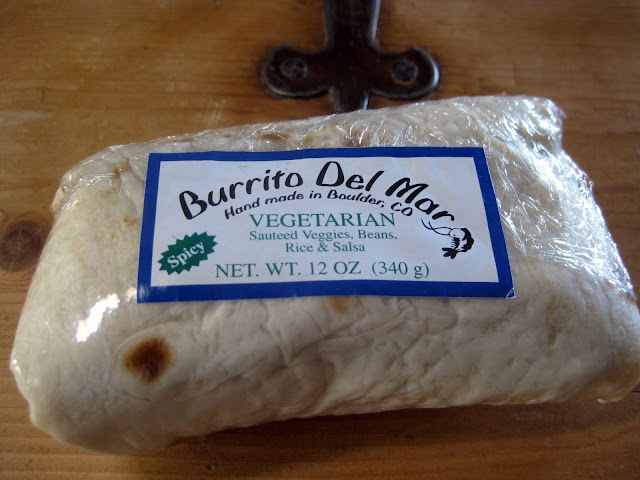 A trip to Whole Foods revealed this local, pre-packaged burrito from Burrito Del Mar. Pretty yummy! 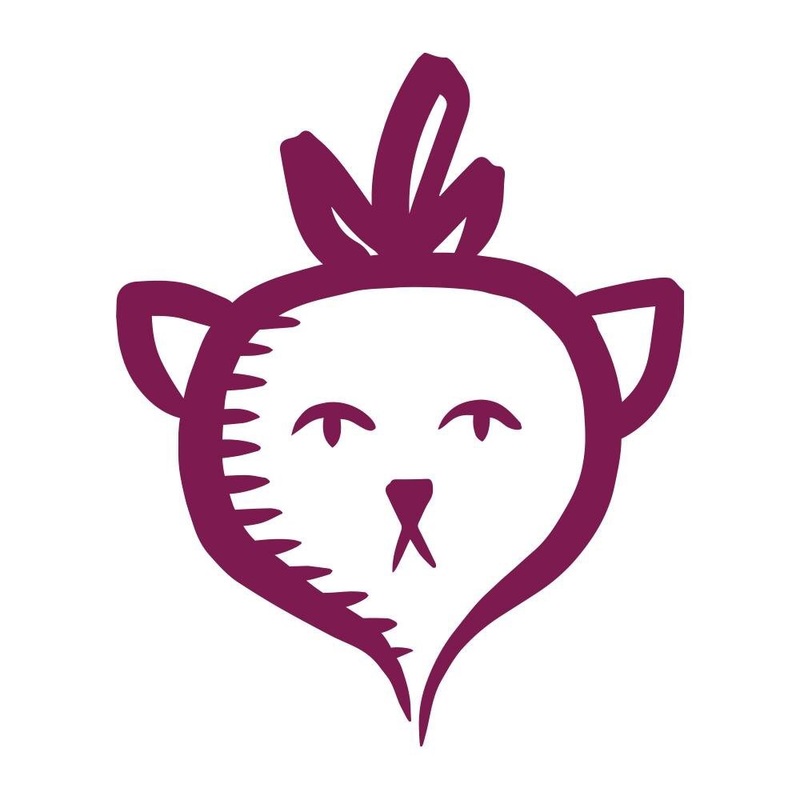 Falafel King is a local Mediterranean restaurant chain who sells their falafels prepackaged. If you are to lazy to make you own or even too lazy to go the restaurant...here you go! 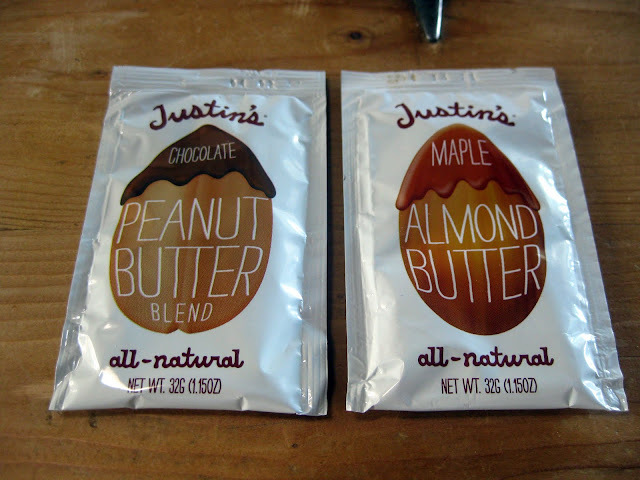 Cute little peanut butters made by Justin's. Great for trips! 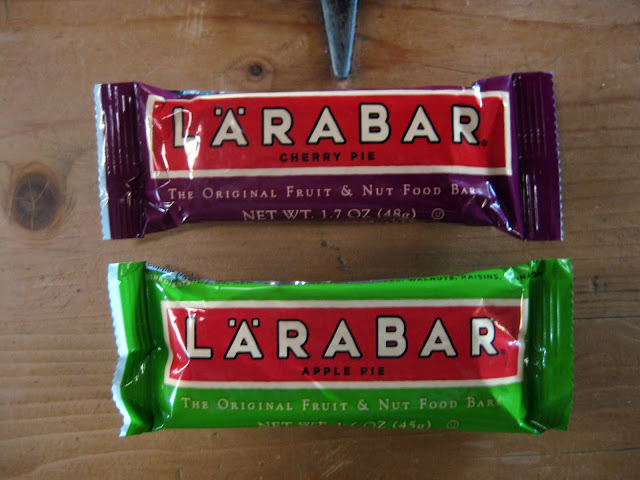 You've seen Larabars all over but they originated in Colorado. Simple snack bars that are good for you, nice concept. Oh, and they actually taste like pie!